After long years of inactivity, a new Skype for Linux was released about an year ago. Though the version of Skype released for Linux was in its early alpha and had many critical features missing, it was reassuring to know that Microsoft has not abandoned Skype for Linux platform entirely after acquiring it. Microsoft recently released the beta version of Skype for Linux platform giving a major fillip to many missing features. New Skype for Linux Beta: What works, what doesn't? 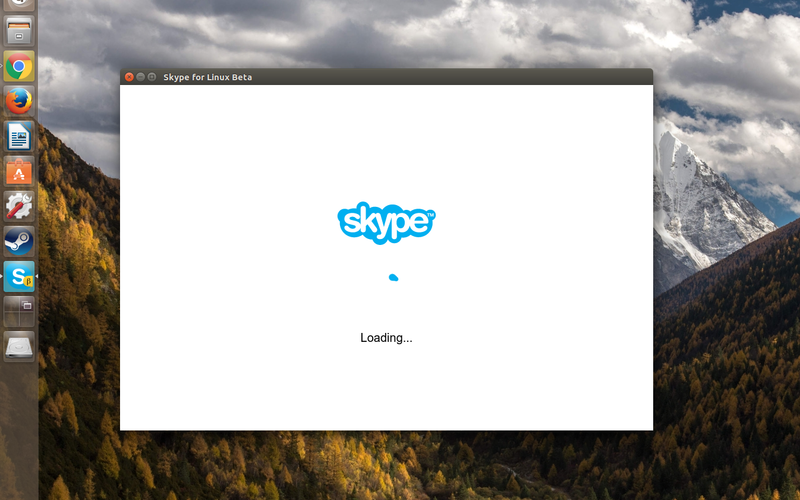 So, the new Skype for Linux beta is here. It is not a finished product yet and has its limitations. But unlike the earlier alpha release, the Skype beta comes loaded with all the basic functionalities one expects from a video/voice chat software. It supports one to one video calls from Linux to other platforms and vice versa. Skype credits is also enabled by which you can make calls to mobiles and landlines. Screen sharing though is still tricky. Apparently, as a Linux user, you can view shared screens from other Skype desktop clients (Windows and Mac), but you cannot share your screen with other platforms, which is a major letdown for business users. Deeper integration with Ubuntu's Unity launcher is another plus. For example, Skype beta now shows the number of unread conversations on the Unity launcher. Double click to install in Ubuntu. Successfully tested on Ubuntu 16.10 "Yakkety Yak".